entering and exiting your home? moving from room to room? We can help. As medical professionals, we have an in-depth understanding of how life-changing events and the aging process affect independence. As home accessibility specialists we know that the right equipment and a supportive home environment can make all the difference. 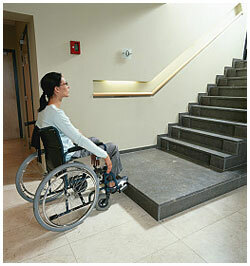 We can get you back in your home and functioning independently again with quick, cost-effective solutions. Call us today for a free phone consultation.